Tell those bugs to bug off this summer. Fun in the sun also means being annoyed by crawling and flying pests that do everything from bother to bite. Stings can ruin a Sunday and itching and scratching is far from fun. Repellent sprays are the key to bug-free BBQs in the backyard and happier hours at the beach. Here are our top picks for the sprays that will keep the bugs at bay. Ciao critters! Natural is the way to go for bug-less summers you can finally enjoy. Cutter Natural Insect Repellent is DEET-free, long-lasting, and unscented, giving you peace of mind as you party and play well-protected. Why is DEET-free better? 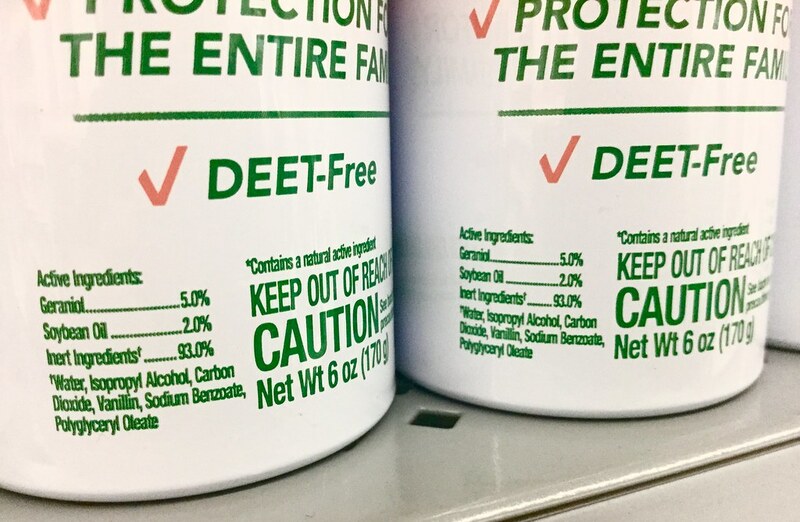 As per Human Nature, "One major difference is DEET's corrosive properties, which can dissolve durable materials such as plastic, nylon and even paint. Imagine what it can do to your skin with prolonged use." Delete the DEET and still be bite-free. Water-based and enriched with essential oils, Skeeter Screen Personal Bug Repellent Spray is also DEET-free and lasts long. Insecticide- and herbicide-free, Skeeter Spray is safe for skin, Earth-friendly, and non-greasy. This product is also pyrethrin free. For pet owners, this is an added safety measure to count on. As explained by Preventive Vet, "Pyrethrins, and the related but more potent, chemically derived pyrethroids, are widely-used insecticides in flea and tick prevention products used around homes and on cats and dogs. Unfortunately, pyrethrins and pyrethroids (especially permethrin) are not species-specific in their toxicity, meaning they can also cause severe and significant problems in pets, especially cats." Happy pets, pest-free. It also contains catnip and witch hazel hydrosols which are very effective natural mosquito repellents. The power of herbs and essential oils like soybean, peppermint, lemongrass, and cedar in All Terrain Herbal Armor Natural Insect Repellent will repel pests while you are outdoors this season. This spray is particularly recommended for those with sensitive skin, as it is DEET-free, allergy tested, and less irritating than many popular drugstore brands. No GMOs and non-toxic, this repellent is eco-conscious and effective. Arm yourself with Herbal Armor. Smell great and stay free of irritating insects at the same time with Buggins Natural DEET-Free Insect Repellent. The delightful vanilla mint and rose scent will please your senses while the bug-free zone you're in will make outdoor activities much more satisfying. No alcohol in the formula means Buggins won't dry out your skin, yet it isn't greasy or sticky. Oils and herbs do the trick to telling those pests to buzz off. Vegan, organic, DEET-free, all-natural, yet hard on pests, Momoko Therapeutics Bug Banishing Spray uses essential oils to banish bugs from your body and vicinity. And if mosquitos are your main concern, "It also contains catnip and witch hazel hydrosols which are very effective natural mosquito repellents." Bugs don't stand a flying chance against Momoko! Say "bye" to bugs will these DEET-free options. Protection was never so important.